One of my subscribers just sent me a message he got from Whatsapp or Facebook warning admission seekers to avoid using their last JAMB profiles, phone numbers or emails for this year UTME registrations. The message is here below. Pls if you have any of your brother or sister that is willing to re-write JAMB again this year 2K19 pls tell them to use different phone number and Email address in filling the jamb form bcos if they use the same phone number and email address that they used last year they are going to lose their JAMB fee N4,700, if they use the same phone number and email address that they used last year in paying their Jamb fee the same information and score that they have last year is going to uploaded in their current JAMB 2019. So Pls kindly inform your brothers and sisters that are willing to re-write their JAMB. Is it true that you should use another number for your profile code? Is it true that applicants must open a new email? Will be it better to shun the last year profile and start afresh for this year admission? I've addressed some of these questions in my post, “2019 JAMB UTME/DE: Answers to the Questions Bothering Admission Seekers”. Yet, I will love to talk more on these in order to answer the questions of the guy who sent the message above. The procedure to get started with obtaining UTME/DE form is to send Candidate’s full name (in correct order) to 55019. This will deduct N50 service charge and reply you with a profile or confirmation code. This is a ten-digit number you will use to buy your UTME form. Now, some candidates had used their phones to get this codes sometimes last year or year before. If you use the same phone number to get the code this year, it means the same profile code sent to you last year will be sent to you again this year. Is anything wrong with that? NO! It only means you must have access to your last year profile. In other words, you must have the last email to your profile and the password to your profile. Once you’re able to log in to the last year profile, then you’re doing good. Go ahead and use the same profile for your UTME this year. If however you can’t log into your profile again (if you forget the email and password), kindly change your phone number to get back a new profile code and open another email address to use for the registration. The only reason you will need to open another email is if you forget your last year profile log-in details such as password. In fact, if use old profile code to buy the new form, you will automatically be attached with your old email (even if you use a new one). Upgrading Last UTME Profile for Direct Entry form. This is a bit complex. Hence, pay attention please. 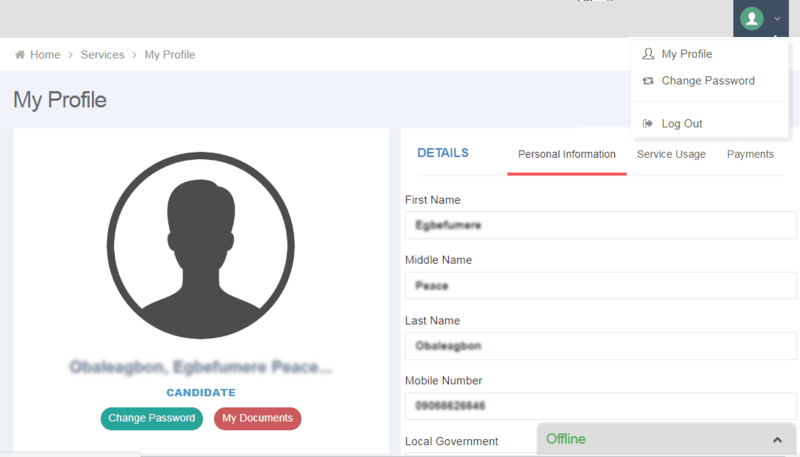 If you had gained admission through JAMB for ND or NCE in the past and you have existing JAMB profile which you can still log into, you don’t need to open a new JAMB profile for your Direct Entry (DE) registration. This only affect those applying for JAMB DE form. In other words, those who have completed their National Diploma (ND) or NCE in a polytechnic or college of education respectively. Once you can log in, you don’t even need to buy another DE form. All you will do is to proceed to CBT centres and request for upgrade from UTME profile to DE. Your DE form will be FREE. It’s free because you don’t need to pay for biometric registration at CBT again. All your data, fingerprints, photo and O’levels are already with JAMB while you registered for UTME. The Same UTME Results for Those Who Use Previous Profile? This is a total mistake from the person who posted the notice. JAMB will not give the same result to you as last year because you use the old profile. This is clearly a misunderstanding. Well, let’s ask from the Mr. Poster where he got this information? Nobody has written this year UTME already not to talk of seeing results. Please shun such misleading information.